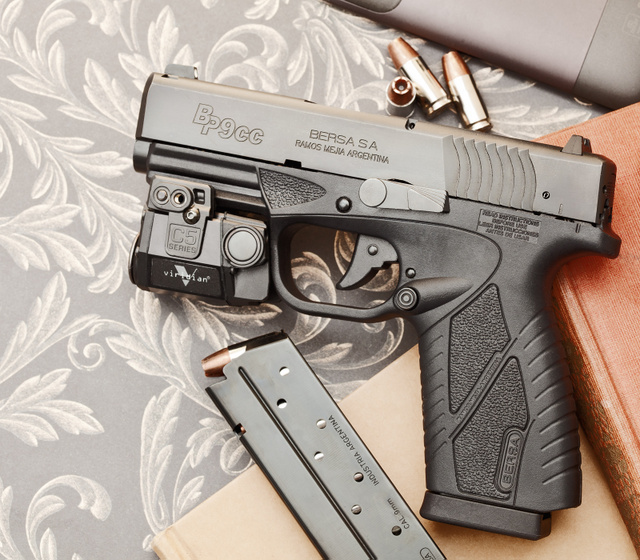 This entry was posted in light/laser, pistol, weapon and tagged 9x19, bersa, Viridian. Bookmark the permalink. When you say magazine disconnector, you mean it has a magazine disconnect saftey or releasing the mag is tough due to it sticking/button issues? Thanks! It’s designed not to fire without a magazine inserted. I dislike that “feature”. Anything on how well it shoots? Accuracy? Reliability? Bersa (I think!) has a good rep for making decent though inexpensive firearms. Perhaps not the sort of thing one would take with him to Fallujah, but good enough for the casual shooter / personal defense. Or am I misinformed?